In the command and control realm, size does not matter. For decades, aircraft such as the Navy’s E-2 Hawkeye and the Air Force’s E-3 AWACS have performed duties as airborne command and control (C2) platforms. In Iraq and Afghanistan today, these units play a key role in the daily execution of the commander’s Air Tasking Order (ATO) and Airspace Control Order (ACO). Their duties include everything from the safe deconfliction of aircraft to the expeditious processing of air support requests from troops on the ground. However, unlike other tactical aircraft, no measure currently exists to evaluate or compare the effectiveness of airborne C2 platforms. Rather than an impediment, the size of the Hawkeye crew is its greatest strength. While both platforms are equally capable in theater, a comparison of the data transfer rate of these two units validates the importance of Crew Resource Management (CRM) in the ability to perform C2 duties. Crew Resource Management (CRM) was first introduced in 1979 out of a need to address unsafe operating practices in the airline industry that had resulted in too-frequent, high profile crashes. Aviation professionals needed better procedures to incorporate each member of the flight crew to ensure safety of the aircraft. In its early years, CRM emphasized improved communication, leadership, and decision making in the cockpit. By empowering each member of the crew to speak up to correct an unsafe situation, the National Transportation Safety Board (NTSB) hoped that CRM might lead to earlier recognition of potentially unsafe scenarios and fewer aviation mishaps. Naval aviation was quick to recognize the success of the civilian CRM process and began adopting it as standard practice in 1989. Over the years, CRM has evolved to impact not just safety of flight concerns, but also the tactical performance of aircrew serving on various platforms. Today, CRM encompasses seven characteristics: decision making, assertiveness, mission analysis, communication, leadership, adaptability/flexibility, and situational awareness. Aviators are expected to incorporate these concepts into the conduct of their flights, whether they are F/A-18E Super Hornet pilots or multi-crewed P-8 Poseidon aircrew. In combat missions over Iraq and Afghanistan, E-2 and E-3 aircrew operate as airborne C2 units in accordance with theater Special Instructions (SPINS). 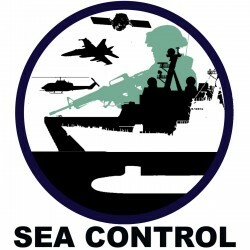 They are assigned as Battle Management Area (BMA) controllers for large geographic areas, controlling all aircraft and communicating with all theater agencies in the Area of Operations (AOR). At its most basic level, command and control is essentially information management. Aircrew must manage the flow of information through both verbal and non-verbal communications between other crewmembers in the aircraft and with external agencies or individuals. Typical information includes management of the theater aerial refueling plan, changes to tasking and dynamic targeting, emergency coordination, and airspace management that ensures the safe routing and deconfliction of all aircraft. To be successful, C2 units must strive to pass information as efficiently and accurately as possible. Rather than strike or fighter aircraft, whose practiced execution of air-to-air and air-to-ground procedures defines success in combat, the management and routing of large amounts of information via radio and chat communication is essential for effective C2. For this reason, CRM plays a crucial role in command and control. Communication, adaptability, and flexibility — central tenets of CRM — are closely related to time. While radio communications take a measurable amount of time (i.e. length of transmission), the act of receiving and processing a given piece of data often takes longer and is difficult to quantify. Specifically, the greater the number of individuals that must process and communicate a set piece of data, the longer the entire transmission process will take. In telecommunications, the data transfer rate is defined as the amount of data that can be transferred from one place to the next per unit time. We typically consider data transfer rates when we compare the speeds of various Internet connections, measured in bytes or kilobytes per second. We can use this equation to roughly compare the efficiency of Tactical C2 platforms and use that data to reflect on some realities concerning C2 and CRM. On its face, the crew of the Hawkeye appears able to process and transmit data, or situational awareness, four times faster than its AWACS counterpart. [ii] Since fewer individuals are required to share knowledge in the Hawkeye, information can be processed and transmitted more quickly. Hawkeye crews also regularly brief and practice CRM techniques that help enhance their overall efficiency. However, on average, larger AWACS crews must work harder than their Hawkeye counterparts to process, manage, and communicate information. 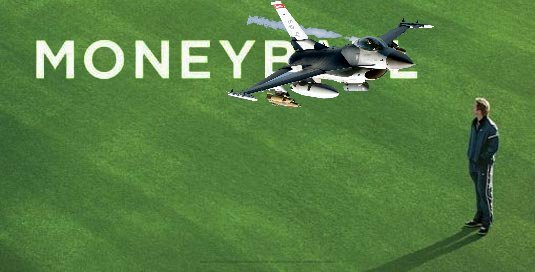 Rather than a hindrance, the comparative size of the Hawkeye crew can provide an important advantage in a dynamic theater environment. This revelation teaches the importance of including solid CRM procedures as part of mission preparation. While crews cannot change the amount of data in theater (y), they can take steps to control the number of people (z) and amount of time (t) required to process data. 1. Compartmentalization. Minimizing the amount of individuals required to consider each piece of C2 data can increase efficiency. This demands crews become comfortable with decentralized control, as the necessity to constantly feed all information to one centralized individual can degrade the effectiveness of C2. In mission planning, crews should assign duties to each individual — i.e. communications with fighter and tanker aircraft, tasking and tanking changes, communications with other agencies, etc — and consider the supervision required for each task. During mission execution, crews should adhere to these contracts to the maximum extent possible. 2. Verbal communications. During mission planning, crews must determine not only radio frequencies, but also radio contracts for each crewmember. Controllers must determine whom in the crew they are required to talk to before transmitting information or orders. Units should strive to produce autonomous controllers, as these individuals require less supervision and, therefore, fewer crewmembers required to help process their information. With the introduction of Internet-based chat capability in airborne platforms, crews must additionally consider how the chat operator interfaces with the crew. Does this person listen to his or her own set of radios, or are they waiting for others in the crew to tell them specific pieces of information to transmit? As the Air Force moves their primary C2 medium to Internet-based chat, airborne C2 units must continue to improve their processes in this regard. 3. Non-verbal communications. Crews that are able to visually communicate can significantly augment their verbal communications. Simple measures such as a thumbs up, head nod, or physical touch can “close the loop” of understanding without having to clutter intra-ship communications. To be effective, these non-verbal measures must be briefed before flight and adhered to during execution. Some considerations, such as the physical layout of the space, are beyond an airborne platform’s ability to control. However, ground-based C2 units and designers of future airborne C2 platforms must consider the influence of these characteristics and their impact on CRM. 4. Contingency management. German general Helmuth Graf von Moltke once asserted, “No campaign plan survives first contact with the enemy.” Similarly, no C2 plan survives long after the brief. Adaptability and flexibility, central tenets of CRM, can help a crew persevere. Crews must brief how to handle deviations, whether they are dictated from higher headquarters or must be proposed and executed by the C2 unit. Since systems such as radar and radios often break, crews must also consider how to continue executing the mission with degraded capabilities or during an aircraft emergency. Oftentimes, the mettle of a C2 unit is not shown during normal operations; it must be proven in times of crisis. 5. Controller proficiency. A confident, proficient controller can significantly improve the efficiency of radio communications and overall C2. Controllers should strive to be concise, communicating all situational awareness in as few radio calls as possible. Additionally, controllers must “close the loop” on information by ensuring that changes are disseminated to and acknowledged by all parties involved. While adhering to a pre-determined script is too rigid and can be a detractor, practicing communications and “chair flying” the mission beforehand can improve performance. Airborne command and control is one of the most unique capabilities in the United States military arsenal. However, C2 units cannot exist in a vacuum; they must always strive for progress. Practicing good CRM and focusing on improvement during each flight can help crews better their data transfer rate and enhance overall theater command and control. [i] Depending on the mission process model, some crewmembers may process information simultaneously. This approximation was considered in establishing the value for t in this scenario. [ii] The comparison of an E-2 crew of 5 and an E-3 crew of 20 is for consistency, i.e. comparing whole crews. The total number of crewmembers required to process specific pieces of data varies by squadron and theater. 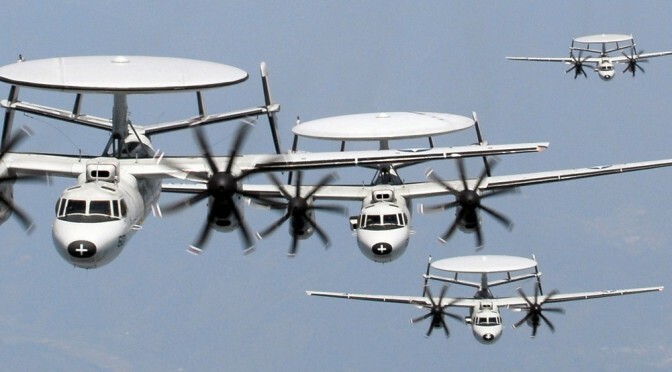 [iii] Improvements in the E-2D Advanced Hawkeye make its radar and passive detection systems on par with the AWACS. LT Roger Misso is an E-2C Naval Flight Officer, MAWTS-1 graduate, and former director of the Naval Academy Foreign Affairs Conference (NAFAC). The ideas expressed here are his own and do not necessarily reflect those of the Department of Defense establishment. Maj. Gen. David M. Edgington (USAF, Ret) joins us to discuss leadership and innovation through his work during Kosovo, the Surge in Iraq, and Air Force acquisitions. Don’t forget to subscribe, tell a friend, and rate five stars!!!!!!! As officer of the deck on board USS Louisiana (SSBN-743) McKudo is responsible for safe navigation of this nuclear powered warship which carries a key leg of the U.S. nuclear weapons triad, 24 Trident II D-5 Nuclear Ballistic Missiles. “I understand the importance of our mission and the strategic role we have in our nation’s defense” McKudo said, “but I really want to be in the Air Force missile program, those guys know how to party”. Recent news involving Air Force officers appeal to the junior officers in Louisiana’s wardroom. 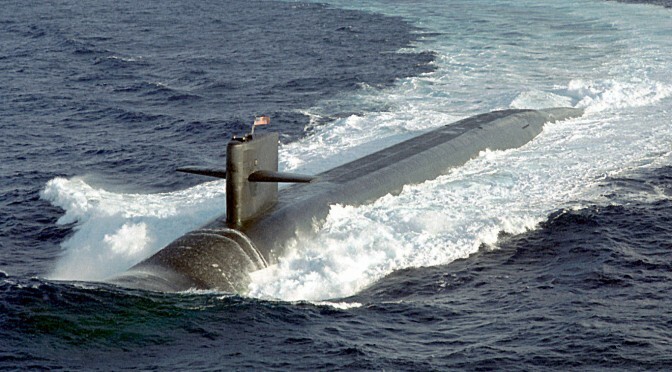 They see the buttoned-up culture of Navy ballistic missile submarines as too restrictive and lacking variety. “I have a buddy from college who works in the missile fields up in North Dakota,” says Ensign Robert Connely, Louisiana’s reactor chemistry officer. “He tells me stories about driving Suburbans 90 miles per hour through snowy corn fields. That sounds awesome”. “Look, those guys don’t even have to really take any sort of regular tests or anything,” McKudo said with excitement. “And when they do it’s so open book the Chinese get to crib the answers too. Plus their generals get to party so hard, especially on foreign travel, it defies the imagination”. According to a recent study by the RAND corporation, officers in the Air Force missile corps are “burnt out” and often act in a manner inconsistent with the standards of the military due to their levels of stress. Members of Louisiana’s wardroom do not sympathize. The two officers’ watch reliefs arrived, signed the logs, descended the ladder to the wardroom, the boat having traveled 6 miles in their 6 hour watch. After surveying the small collection of games and DVDs they agree to play their 326th game of Cribbage. Alan Tweedie currently serves in the Navy reserve as an intel officer. At his civilian job he spends a lot of time with former Air Force missile officers who have no idea how good they had it.